And can you blame it really? 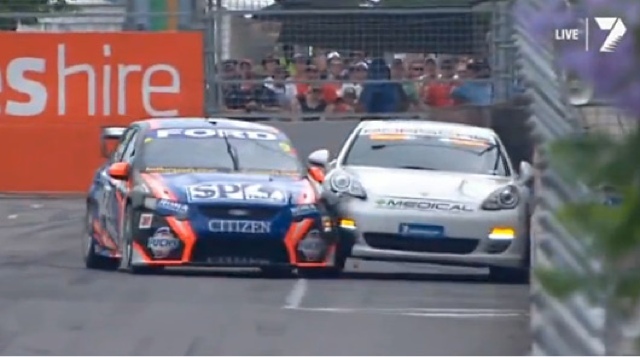 Shane Van Gisbergen was at the wheel of a directionally challenged V8 Falcon during the Telstra 500 in Sydney on December 1st when steering completely failed just as the Panamera medical car was passing on the left. You got to love how the Panamera gets a round of applause driving down pit lane! V8 Supercars is the greatest, not the least because of the commentators.